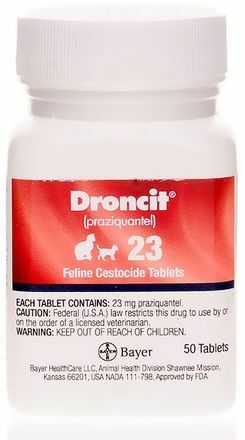 Droncit (praziquantel) is used to treat tapeworms in dogs and cats. How it works: Praziquantel is a cestocide. Praziquantel works by damaging the parasite's skin internally so the parasite disintegrates and is removed by the pet's immune system.